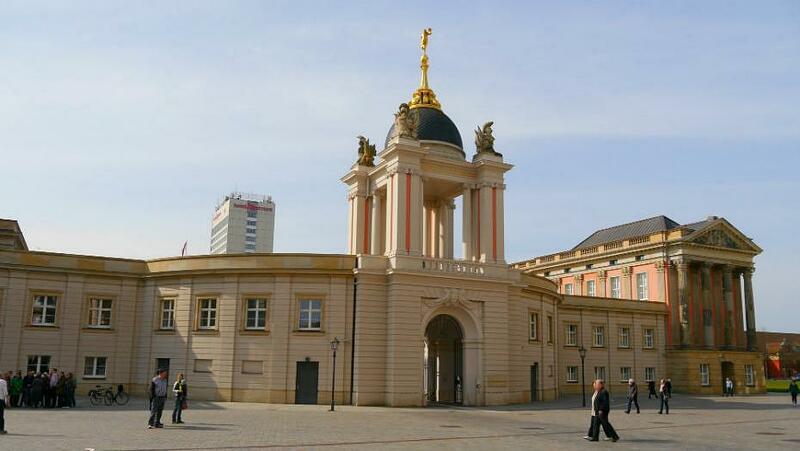 Potsdam is the capital of the federal state of Brandenburg. This charming city is located in the northeast of Germany, next to the river Havel and in the Berlin metropolitan area. Although the capital of Brandenburg is only 40 kilometers away from Berlin’s Alexanderplatz, Potsdam is a tourist destination on its own right and one of the most beautiful cities in Germany. The charm of Potsdam is closely linked to its status as the residence of the powerful Prussian royal family, who filled the city with magnificent neoclassical, baroque and rococo palaces and monuments. The influence of immigration in Potsdam, promoted in part by the religious freedom decreed in the city in the seventeenth century, is also palpable in many of its corners: Dutch-inspired buildings, wooden houses typical of a Russian village or Protestant churches of French influence make Potsdam a melting pot of cultures and architectural styles. 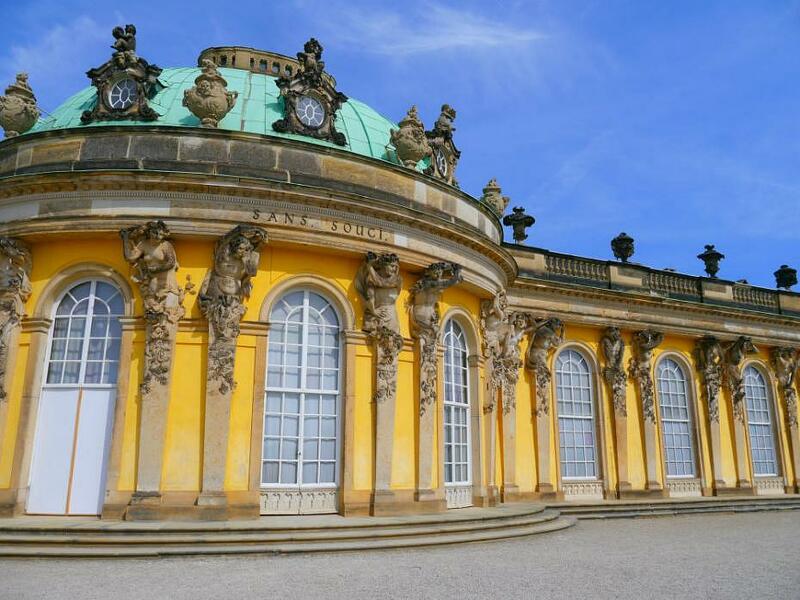 The biggest tourist attraction in Potsdam, however, is the spectacular Sanssouci Palace; a flamboyant building mixing baroque and romantic styles. The surroundings of this cultural monument are also the best area to stay in Potsdam. See accommodation near Sanssouci. The best season to get to know this city is spring and summer. However, winter and autumn paint the city with landscapes typical of a romantic postcard. Summers in Potsdam are rainy and their winters can bring sub-zero temperatures. Potsdam is small enough to walk it. 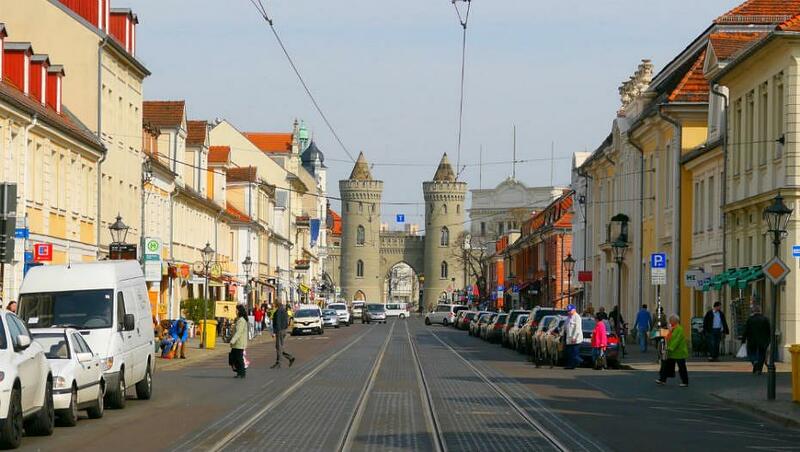 However, the capital of Brandenburg also offers a public transport system consisting of trams and buses. As it is located in the metropolitan area of Berlin, Potsdam is connected to the German metropolis by the light rail system or S-Bahn (lines S1 and S7) and also has regional trains that connect it to the capital and other destinations in East Germany. The best hotels to stay in the Brandenburger capital. Hostels and cheap stays in Potsdam, Germany. Would you like indepoendence? Book an apartment in Potsdam. Guest houses, bed and breakfast and pensions in Potsdam. Sanssouci Palace is located to the southwest of the city centre of Potsdam. Literally, Sanssouci means “without worries” and was built in the mid-eighteenth century. The summit of this architectural complex is the magnificent official summer palace of Frederick II the Great, King of Prussia. However, the name is applicable to the architectural and garden complex of different eras that surround the main palace. The Sanssouci complex is the main tourist attraction in Potsdam and its surroundings offer several boutique-style hotels. Staying near the Sanssouci Palace has the advantage of being close to the main attraction of Potsdam and enjoying a romantic and luxurious environment. 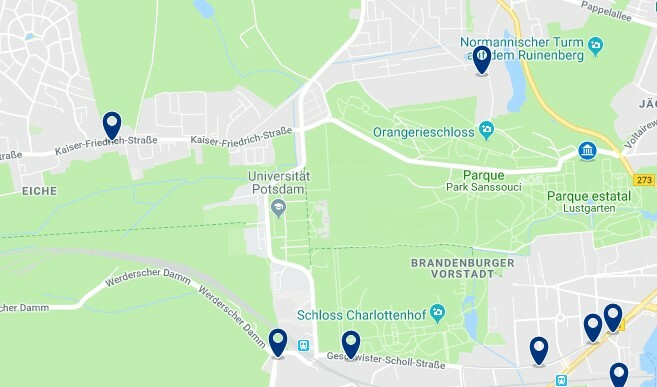 This area is well-connected to the rest of Potsdam and Berlin through the regional train stations Charlottenhof and Park Sanssouci. The southern area of the park is also crossed by several tram and bus lines. Hotel Villa Monte Vino, a 3-star superior hotel, is located in an idyllic location on top of a hill, in a traditional villa with a 19th-century tower, a 3-minute walk from the Sanssouci Palace in Potsdam. – from €104. Schlossgarten Hotel am Park von Sanssouci is located in a beautiful residential area of Potsdam, near the picturesque Sanssouci park and near Fasanerie. At a short distance, you will find places of tourist interest. – from €77 . Steigenberger Hotel Sanssouci is located next to the famous Sanssouci Park, in the centre of Potsdam, and offers elegant accommodation within easy walking distance of all the sights of the city. Free WiFi access is available in all areas. – from €89. Innenstadt literally means “inner city” and is the centre of Potsdam. Innenstadt comprises the Old Town and Potsdam’s commercial and business heart. The Innenstadt is home to some of the most important sights of Potsdam, such as its cathedral, the old market square (Alten Markt), the Barberini Museum, the Potsdam Art Museum or the Film Museum. A little further north lies Brandenburger Strasse, the bustling commercial artery of Potsdam, with multiple shops, cafés and restaurants. Other attractions in Innenstadt include the Brandenburg Gate, the Dutch Quarter or the FLUXUS+ Museum. This area is very well-connected through multiple tram and bus stops. In addition, the Potsdam Hauptbahnhof or main train station, with regional connections and direct trains to Berlin, is located in the southern part of the district. 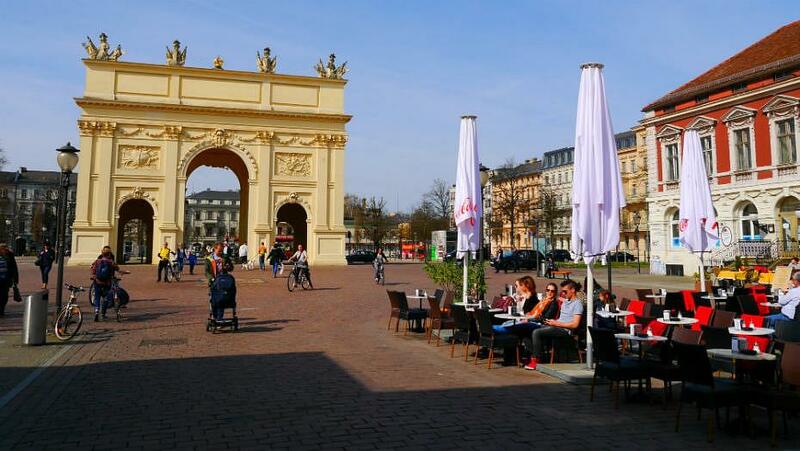 Innenstadt is the best area to stay in Potsdam to live the city beyond Sanssouci Palace. NH Potsdam Hotel, a 4-star property, is located in the centre of Potsdam, opposite the Dutch quarter and next to the Nauener Tor gate. The property has a modern spa and beautiful views. – from €79. B&B Hotel Potsdam enjoys a central location, just 100 meters from the Potsdam Main Station. B & B Hotel Potsdam offers free WiFi and free parking. – from €59. Mercure Hotel Potsdam City located next to Potsdam Harbor, it offers a terrace with views of the Havel River, traditional Brandenburg cuisine, a 24-hour reception and free Wi-Fi throughout. – from €79. Babelsberg is located east of the centre of Potsdam. It is a quieter and residential area home to some of the attractions of the city. The most important tourist attraction in Babelsberg is its theme park, Filmpark Babelsberg, and the adjacent Babelsberg Film Studio. Founded in 1912, it is the oldest large-scale studio and film production venue in the world. 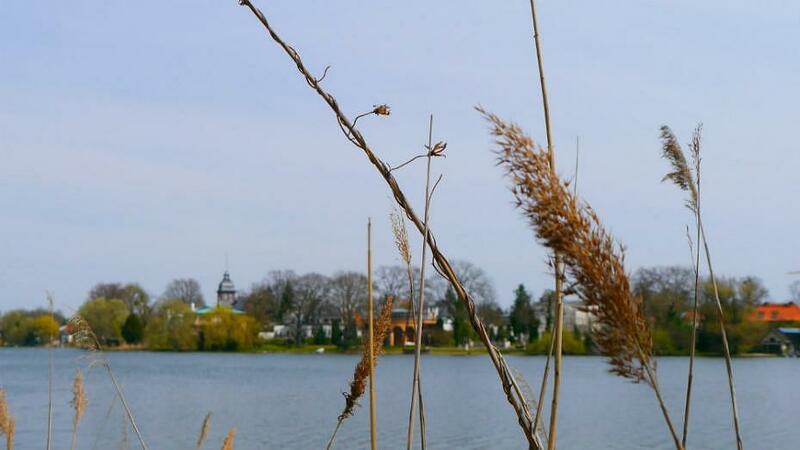 In the northern part of this district lies Park Babelsberg, a huge green area with beautiful views of Tiefer See lake. Babelsberg is connected to the Potsdam Central Station by the stations Babelsberg (S-Bahn) and Griebnitzsee (regional trains), which also have direct trains to and from Berlin. The Rudolf-Breitscheid-Strasse also has several tram stations. Babelsberg is one of the best areas to stay in Potsdam thanks to its local character and its budget accommodation. Anno 1900 Hotel Babelsberg occupies a historic villa in Potsdam. It offers a garden, a daily breakfast buffet and excellent transport links. Lake Griebnitzsee is 1 km away. 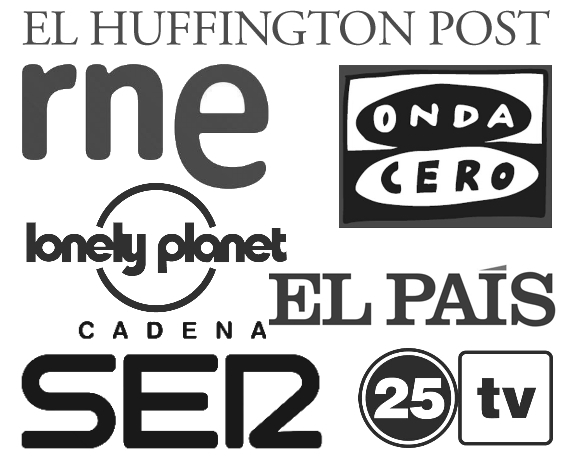 – from €79. |ES|Dónde dormir en Potsdam – Mejores zonas y hoteles.